May 16, 1956, AR Gittins. Euproserpinus wiesti is a medium-sized (FW length 19 mm) day-flying sphinx moth with gray forewings and black and white hindwings that has been found once in southern Idaho. The forewing is long and pointed. It is medium gray, suffused with black basal to the postmedial line and darker gray in the terminal area. The postmedial line is black but diffuse, oblique basad at the costa and curving basad on the cubital vein to the usual position of the median line before turning posteriorly to meet the trailing margin at a right angle. The subterminal line is thick but broken and slightly irregular, nearly parallel to the adjacent outer margin. The discal spot is a thick black line. 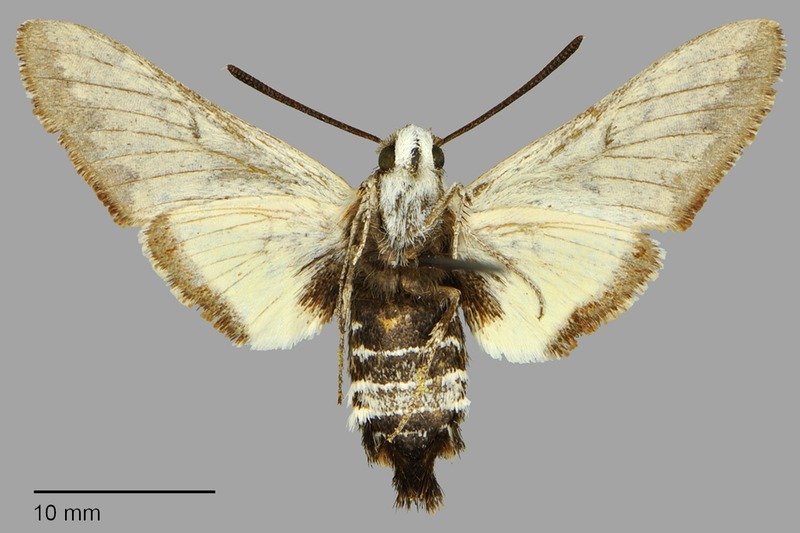 The hindwing is pure white (discolored yellow in the Idaho specimen) with black base and relatively thick marginal band. 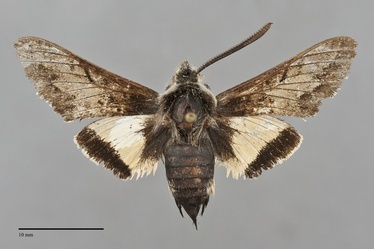 The abdomen is dark gray, banded distally with white (which has been become wet and rubbed off in the Idaho specimen). The tibia and first tarsal segment of the foreleg bear a series of stout spines. The antenna is long and clubbed. This moth can be identified by its spring flight, daytime flight, gray forewing, and black and white hindwing. The single Pacific Northwest specimen is in fairly poor condition. Euproserpinus species are similar and are distinguished by subtle differences, including characters of the white abdominal band. Although difficult to determine with certainty, the white band of the Idaho singleton appears to be interrupted by black, unlike those of most E. wiesti populations but similar to northern California populations discussed by Tuttle (2007) and assigned tentatively by him to E. wiesti. We have therefore called our specimen E. wiesti, although some of the authors of this site feel that it is more similar to Euproserpinus phaeton. More material is necessary to determine the relationship of these populations to other Euproserpinus species. The habitat in the Pacific Northwest is unknown. Tuttle (2007) states that this species is found in habitats with sand substrate, particularly washes and dunes in areas of desert scrub. 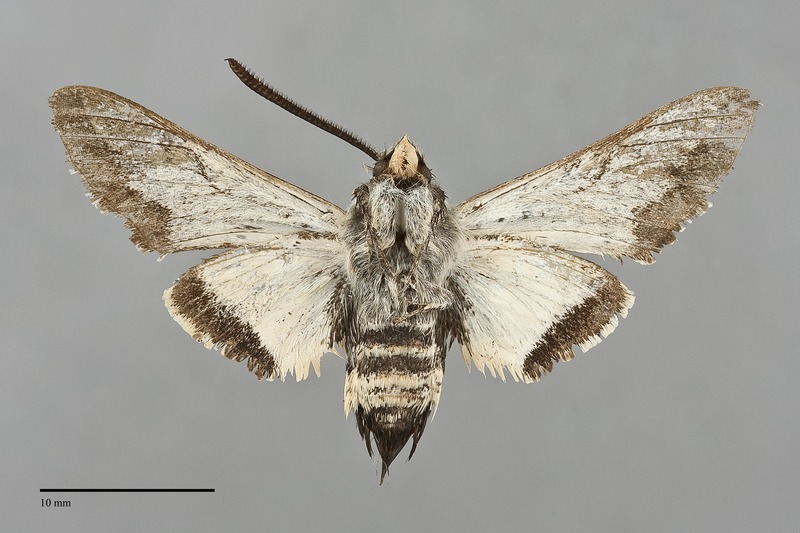 The single specimen of this species was collected at Rupert in southern Idaho. Populations assigned to E. wiesti by Tuttle (2007) range from the Texas panhandle, Colorado, and New Mexico across northern Arizona and Utah to northeastern California; however, he suggests that further study is needed to define the relationship of the populations in this entire area since differentiation of E. wiesti from E. phaeton can be difficult. 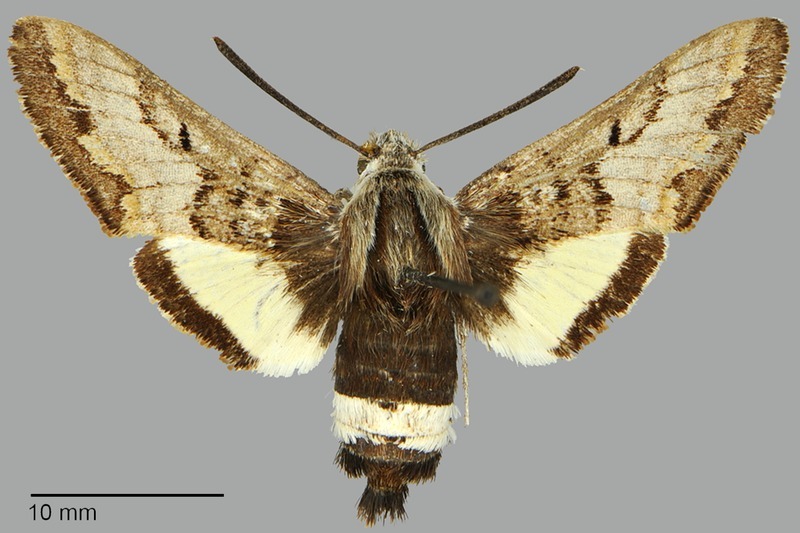 Only a handful of records exist throughout the entire range of this moth. The larvae are described by Tuttle (2007) and feed on members of the evening primrose family (Onagraceae) in Colorado and California. E. wiesti is diurnal and flies in sunshine. Males patrol washes. The single Pacific Northwest specimen was collected in mid-May. Its worn condition suggests that the peak flight period is slightly earlier in the year.